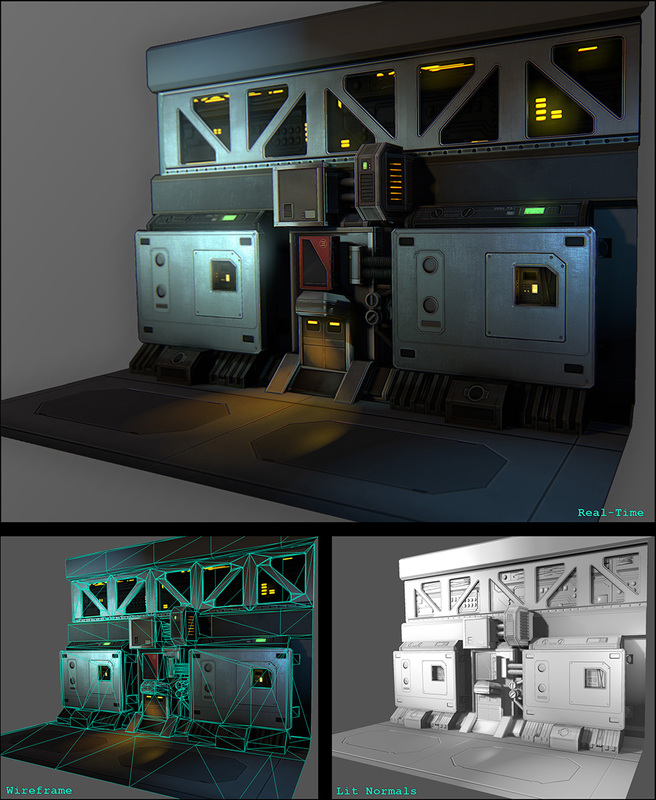 Below are some images of a sci-fi corridor that was created for an environment art test. It was constructed from rough 3ds max file and a concept image, both of which were supplied to me. 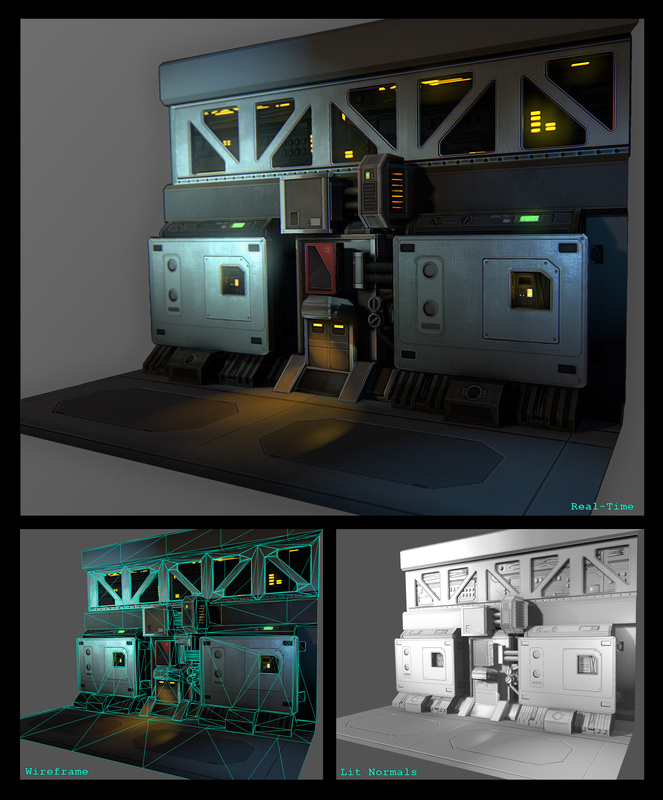 All assets for this scene were modeled in high-ploly and baked down to normal, spec and color maps. Tools used for this project include 3ds max, VRAY and Nuke. Click each image for a full size version. Wall detail screenshots from marmoset showing wireframe and normal map details. Click for a larger image. 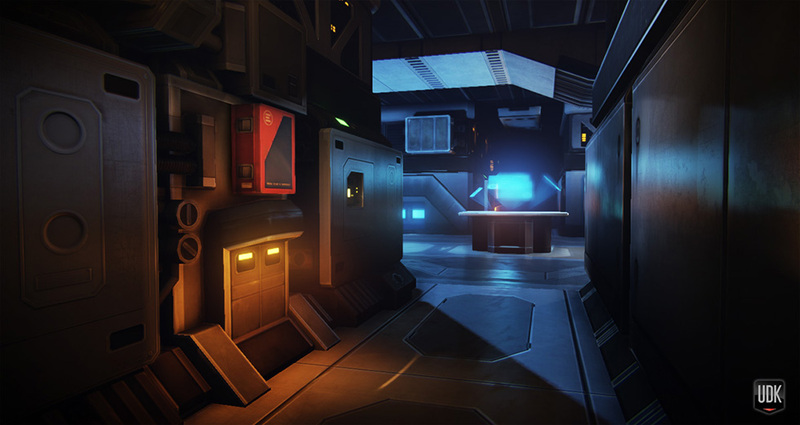 Corridor Screenshot in Unreal Engine.